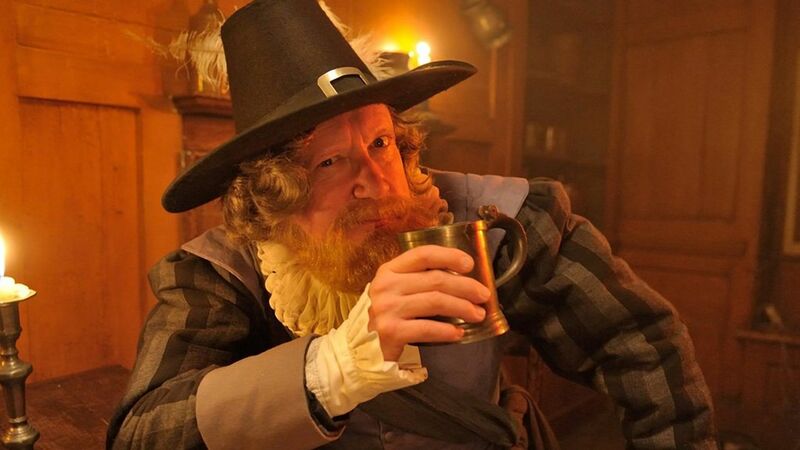 Here's where to watch every episode of Drunk History season 2. Mouseover or tap an episode to see where to stream it. Click or tap the play icon to stream it on the best available service. Episode 1 Feb 5, 2016 Tom Craine tells the story of Sir Walter Raleigh (Jack Whitehall) and Queen Elizabeth I (Michelle Keegan) and Tom Davis tells the tale of Robin Hood (Mathew Baynton) and Maid Marian (Emma Bunton). Episode 2 Feb 12, 2016 Iain Stirling slurs his way through Scott of the Antarctic (featuring Mathew Horne and Catherine Tate), whilst Chris Ramsey talks the sinking of the Titanic (featuring Phill Jupitus). Episode 3 Feb 18, 2016 Isy Suttie relays the story of Prince Edward and Mrs Wallis Simpson (featuring Greg James and Sophie McShera); Ed Gamble stumbles through a version of The Great Escape (featuring Jamie Laing). Episode 4 Mar 2, 2016 Tom Rosenthal talks about Richard III (featuring Hugh Dennis), while a sloshed Jessica Knappett tells the story of Mary Shelley's Frankenstein (featuring Vicky Pattison and Mathew Baynton). Episode 5 Mar 9, 2016 Charlotte Ritchie reveals the truth behind The Cottingley Fairies (stars Catherine Tate and Mathew Horne), and Nish Kumar talks about the Invention of the Telephone (featuring Anthony Head). Episode 7 Mar 23, 2016 Matt Richardson takes us back to World War II (stars Simon Bird and Dustin Demri Burns), whilst an inebriated Josie Long narrates the tale of Dr Crippen (stars Olivia Colman). Episode 8 Mar 30, 2016 Elis James & John Robins discuss the Battle of Waterloo (stars Vicky Pattison and Hugh Dennis), and Tom Parry tells us about Arthur Conan Doyle becoming sherlock (stars Bradley Walsh).